Being in the jewelry business, we get to see all of the newest jewelry fashion, and we find that there are some really beautiful designs out there, and that most jewelry designers strive for beauty and good taste. Regularly, though, we run across some really good examples of fashion gone bad (in our humble opinion, anyway). So, for some comic relief, I thought I would show you a couple of examples of jewelry that pass for "fashion". First, check out this model, showing off her pearl waterfall. Pearls are beautiful, and so are flowers (like the giant magnolia), but give me a break! This poor girl must be trying not to laugh behind her ridiculous get-up! Even if you wore this to a party, you couldn't have a conversation with anyone if they were standing to your left: "Speak into the flower, please". If you tried to sit down at a table and eat, you would really have a hard time getting food into your mouth! And can you imagine the looks from your fellow table-mates? Next we have Bridezilla's wedding ring. 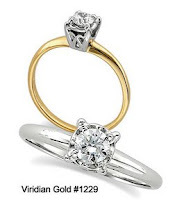 Or, perhaps Bat Woman's engagement ring. I suppose it is made out of some blackened gold, with diamonds that probably are very expensive, because they are very-very brown? Some would say the diamonds would pass as throw-aways, because of their color, but who am I to question fashion? That's a moonstone, by the way, and not a pearl. A lovely stone in an ugly setting--what a waste! 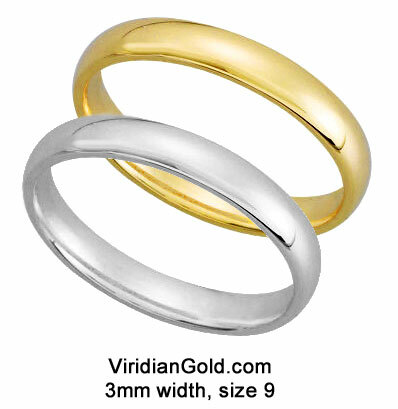 At Viridian Gold, we try to find jewelry that is truly beautiful and well made. So, each item on our website is hand-picked by us for it's beauty, and the descriptions and specifications are also composed by us. We would NEVER just download a bunch of items from a wholesale supplier and stick 'em on the website (this is actually the method used by many Internet sellers!). Instead, we strive to give you as much information about the piece as possible so that you can make an informed buying decision. And the pieces we select always represent good taste, even it it might not be something we would personally wear. Check out our Viridian Gold store, and see if you agree!